Do you remember when I mentioned that I use a website called Goodreads to keep track of how many books I've read? And that I am trying to beat my high score from last year of 31 books read? * And then a week later I mentioned that I want to keep up the trend of visiting museums. Posting those things back-to-back made me realize I don't have a website to keep track of the museums I visited. "Wouldn't that be a great app? A Museum Tracker??" I asked my family. Fine, maybe I'm the only one that wants that to exist. My husband did find mapstr for me, which doesn't do everything my imaginary app would do but at least I can log the museums I've visited. 1. In January, some co-workers and I got to go on a private tour of Morven Museum in Princeton. I was so impressed with how acknowledge slavery on their grounds and have researched and shared as many of the Slaves' names as possible. 2. 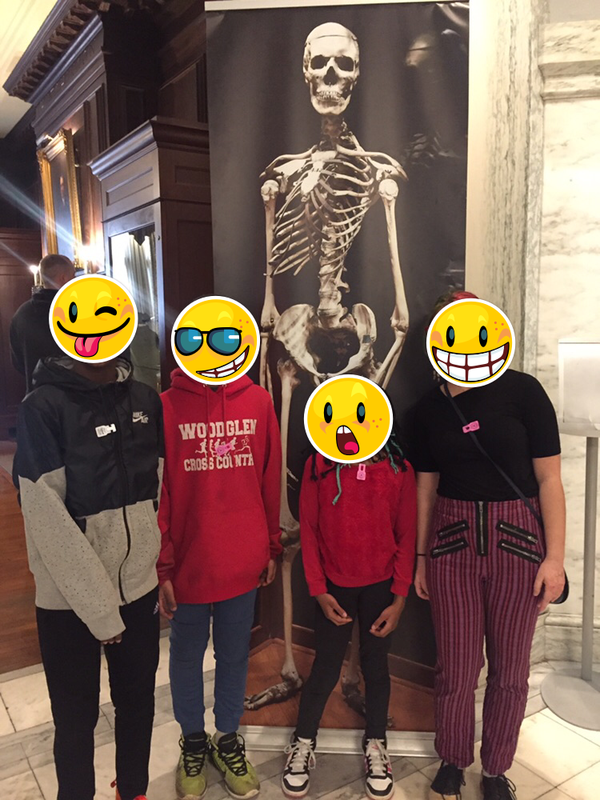 In February, I took the kids to visit some friends in Philadelphia where we went to the Mutter Museum, which is chock full o'medical oddities. My youngest said, "When I'm a grown up, I am NOT taking my kids here." Don't tell the other reenactors, but this guy was my favorite. 4. 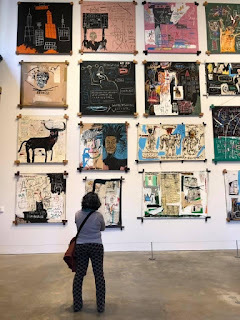 March found me in New York City at the Brant Foundation, an amazing building I'd never been to before, for a Jean-Michel Basquiat exhibit. 5. 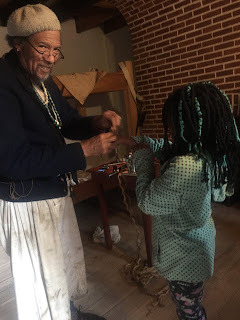 And, of course, three days a week from the end of January until I retire, you can find me at the sweet little former schoolhouse museum where I am now the Curator. Sure, this one is kind of cheating to include, but I'm proud of the work I'm doing there and we just had a bit of a Grand Re-Opening Party two weeks ago. Our honored guest was our new Congressman Tom Malinowski. 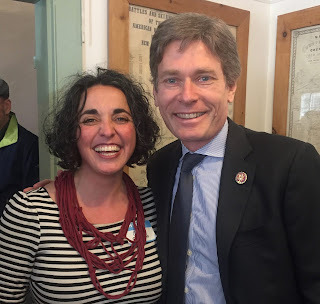 Sure, it was an honor to introduce him and do the ribbon cutting together, but even better was that I got to sing a song for him that my children were singing for the entire election season: substituting "Mr. Bob Dobalina" with "Mr. Tom Malinowski" in this song. *Pretty good on the book-reading front, too--eleven books read in 2019 so far!